Away from Brunswich street, Little Larder is as off the beaten track as you are likely to get this close in to the Valley. It’s a cute little cafe in what looks like it used to be a corner shop. Their menu is a little different from standard cafe fare, though most of the breakfast otions are based on egg. The coffee was decent too. Not the best, but it would not disappoint either. 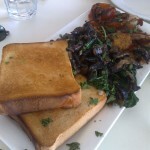 Little Larder is a nice place to go to for breakfast. The location is great, and the cafe itself is as laid back as the street it is on. Lavazza is used in a lot of cafes. Someone once told me that it is one of the harder coffees to screw up. The barista at Fuscia could have made a decent coffee with almost anything though. Their big breakfast was good too. 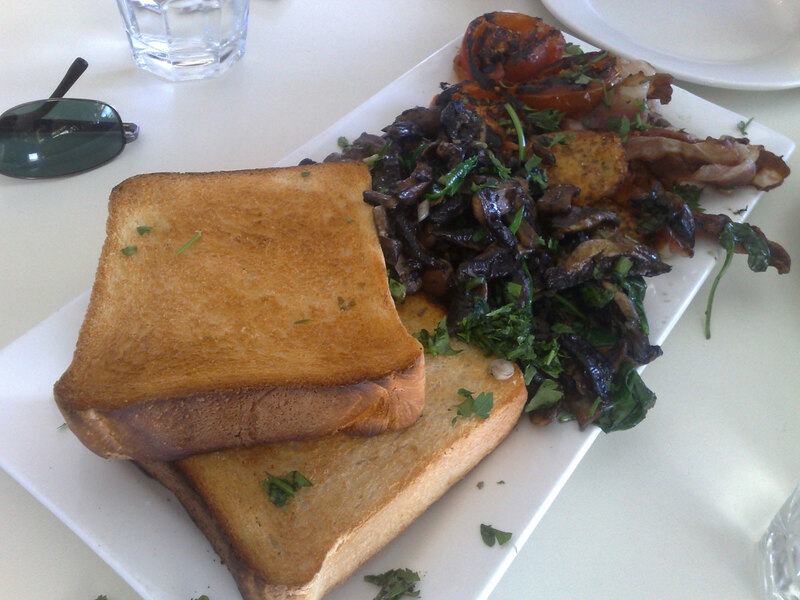 It comes with the usual sausages, eggs, mushrooms, toast, tomato and spinach. They were also very generous when I asked to swap out the eggs for more mushrooms. You won’t be able to go for breakfast during the week, as they are only open for lunch and dinner between Monday and Friday. Fuscia has also won a number of business and food awards since 1997. 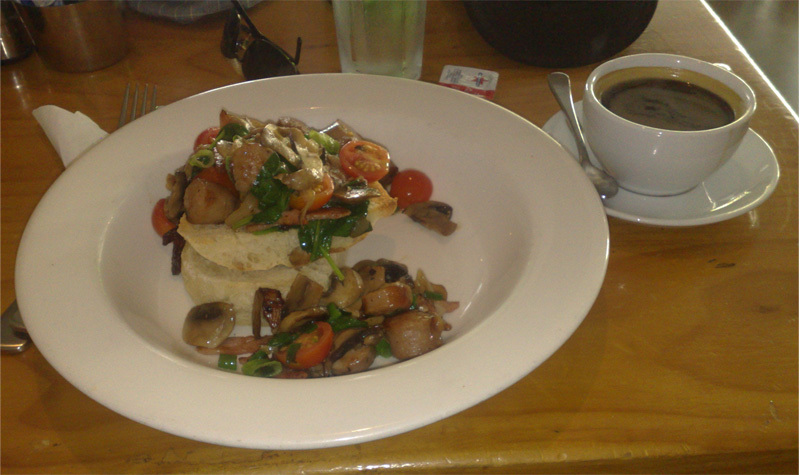 For a weekend breakfast with nice food and coffee, Fuscia is a place to check out. The dinner menu looks good and the cafe is easy to get to and has decent parking.